Take a trip with Rory's Story Cubes. 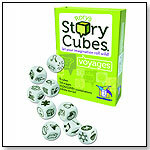 Contained within this set are 9 cubes that aim to inspire stories of epic adventure. Cast away on a deserted island. Spin tales of a faraway land. 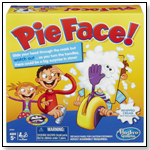 With 54 images and millions of combinations, your journeys are bound to be endless.